22 Jun 2016 Washington, D.C.
A U.S. Green Beret in Afghanistan recently declared that America is “not at war with the Taliban,” reflecting the rules of engagement implemented by President Barack Obama, which allow lawyers to dictate when military force is justified, reports The Wall Street Journal (WSJ). Whether operating an armed aircraft or carrying a weapon on the ground, Americans have to get a lawyer’s approval before they can fire, suggests the report. Although U.S. troops and military aircraft are allowed to attack jihadists from al-Qaeda and the local Islamic State branch, the rules of engagement regarding the Taliban are different. 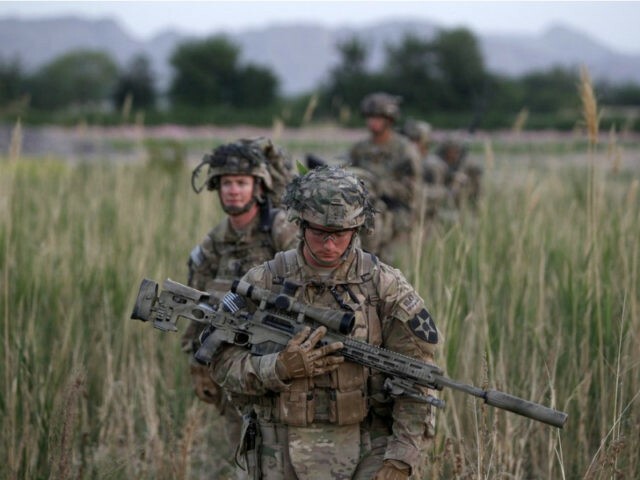 Since 2014, American special-operations troops and aircraft have been allowed to strike the Taliban only when the insurgents present a direct threat to U.S. or allied forces, or if the Afghan government faces a catastrophic failure such as loss of a major city. Troops up and down the chain of command, though, say that in practice the rules are mushy, open to interpretation about what constitutes justifiable violence, particularly when only Afghan soldiers are directly in harm’s way. U.S. commanders and military lawyers make seat-of-the-pants calls every day about using force against the Taliban, trying simultaneously to respect the rules, avoid killing civilians and spare their allies casualties that a quick airstrike might prevent. When President Obama ended the U.S. combat mission in Afghanistan at the end of 2014, he took away the American military’s authority to offensively attack Taliban jihadists, only allowing them to shoot at the terrorists in self-defense, when they pose an imminent threat. U.S.-trained Afghan security forces, who have been rated ineffective, assumed the lead of operations against the Taliban at the beginning of 2015. By the end of that year, Taliban terrorists had replaced their Islamic State (ISIS/ISIL) rivals as the world’s chief perpetrators of terrorist attacks, with 1,093 individual attacks, according to Obama’s own State Department. Afghan security forces and civilians have suffered a record number of casualties at the hands of the terrorist group. Echoing requests by his predecessor, Gen. John Nicholson, the top commander of U.S. and NATO forces in Afghanistan, has indicated that he would like Obama to grant him more authority to use air power to assist the Afghan security forces. “In response, Mr. Obama ruled this month that U.S. troops and aircraft, until now limited to assisting Afghan commandos and other special units, will be allowed to provide the same aid to Afghan conventional forces, who in several places have been reeling from Taliban warm-weather attacks,” notes WSJ. “The enemy operates with impunity throughout the country due to our relentless commitment to avoid principled strategy and decision-making processes,” he added. The U.S. military prohibits Green Berets from releasing their names. “We’re not at war with the Taliban,” one of the senior U.S. Green Berets in Afghanistan told The Wall Street Journal. As of the end of February, nearly 13,000 coalition troops were serving in Afghanistan, including about 9,000 from the United States, according to the Pentagon.